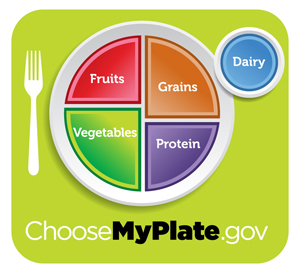 In June 2011, the USDA issued a new shape to their food guide, calling the USDA food plate "My Plate." The new plate-shaped food guide replaces their old food guide pyramid. I have to say that this design is much more user friendly. I've been using the mental picture of a plate to help guide people on what to eat for years because it just makes sense. While it might be hard to figure out how each of your meals measures up to a pyramid, and plate is simple. Aim for half a plate of vegetables, one quarter of a plate of whole grains, and one quarter beans or legumes. The USDA food plate gets much applause from me on the new shape. 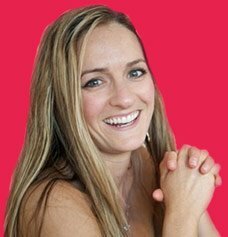 And, happily, there are a few other changes that I really appreciate, and which I think are leading people in the right direction nutritionally. 1. Fruits and vegetables combined make up half the plate. YES. I feel like everyone has always known that fruits and vegetables are incredibly healthy and important in a balanced diet. Of course, that doesn't mean people always eat them, but they do know they should. What's nice about the USDA My Plate suggestion is that it demonstrates how much of the plate should actually be filled with fruits and vegetables. It's not just a piece or two of broccoli. It's not a dollop of mashed potatoes. And it's not a tiny green salad. It's half your plate. In fact, it should be a heavy section of vegetables on your plate. I also like that the USDA food plate suggests that you "vary your veggies." There's nothing healthier than eating a wide variety of vegetables every single day. I've long heard that you should eat from all the colors of the rainbow every day to make sure you get all the nutrients along the food spectrum. 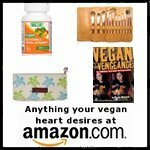 Check out this page that has a list of fruits and vegetables. If this new food guide were to really bump it up a notch, they'd have the vegetable section take up half the plate and replace the "dairy" circle with a plate of fruit. That's the real dessert we should be focusing on. Grains take up a quarter of the plate. I agree with this section as well, with one small addendum... Eat whole grains as much as possible and avoid processed grains. Unfortunately, the USDA My Plate cops out by suggesting that we "make at least half your grains whole." Why can't they just tell us to eat all whole grains? I have to assume they know there's absolutely no nutritional value in un-whole grains, and that they think a) it would be impossible to convince people to give up white bread, cookies, pastries, and cakes so it's not worth saying not to eat them or b) they're afraid of offending the industries that produce enriched white grains. "Protein" takes up the remaining quarter of the plate. In my opinion, this is happy news. No longer are people being taught to eat meat and fish as protein sources. There is no specific guidance on what constitutes protein, and the suggestion is to "go lean with protein." Perhaps America's love affair with protein is over and we are going to be guided down to a more reasonable and scientifically-based level of daily protein intake. Let's hope. What's great is that it's hard to go leaner with your protein selection than with beans. Each variety of beans and legumes has a different nutritional benefit, so I highly recommend switching them up and trying as many different types as you can. For a guide to the different types of legumes and beans check out this page on our site. The major drawback is the glass of "dairy" that remains touching the plate. I'd rather have that nowhere near the plate, perhaps with a "use with extreme caution" sign, or a "avoid." However, I know that it's extremely difficult to ignore the lobbying money of the Dairy Council. Rather than launch into a huge discussion right now on why dairy products are unhealthy, I am going to simply ignore that glass and applaud a much more stable, functional food guide. However, when you click around on the USDA food plate site (http://www.choosemyplate.gov/foodgroups/index.html) for info on the different categories, the dairy section says this, "Get your calcium-rich foods." It's only a matter of time before it becomes common knowledge that vegan calcium is abundantly available in plant foods and that while dairy products do have a lot of calcium, the body has trouble assimilating animal protein and animal-based calcium into useable nutrients. Once the body begins to struggle getting calcium that way, it will instead steal calcium from your bones to satisfy its needs. Check out Whitewash: The Disturbing Truth About Cow's Milk and Your Health for a complete breakdown of the negative consequences of eating dairy products. As a short summary below the food plate, the USDA food plate suggests that we balance our calories by enjoying our food but eating less and avoiding oversized portions. They also say to increase our fruit and vegetable intake, make at least half our grains whole, and to switch to fat-free or low-fat milk. And lastly, they recommend choosing soup, bread, and frozen meals with lower sodium numbers and drinking water instead of sugary drinks.